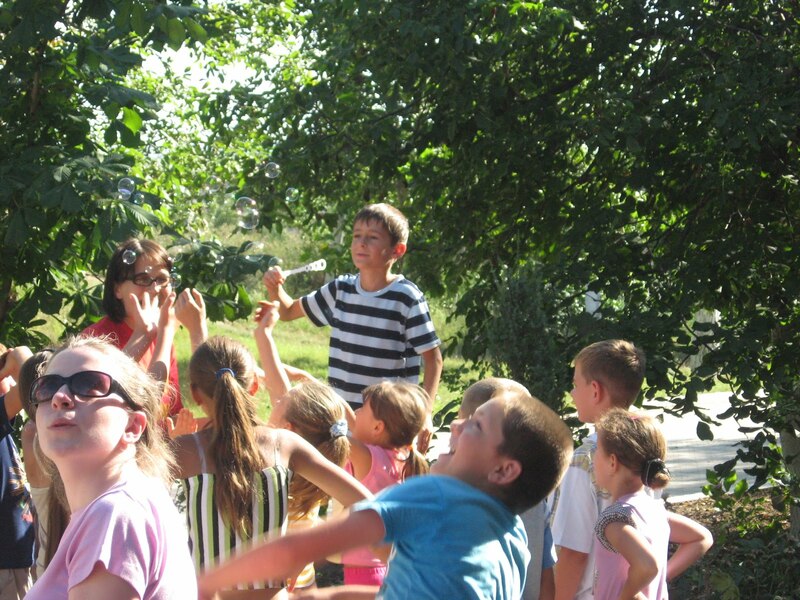 All summer long we have had teams coming from various countries, seeking to share the love of God and the good news about Jesus Christ with the people of Moldova. Last week I had the opportunity of going to visit one of our outreach teams - to encourage them and to see what kind of ministry they are involved in. This was a group of Irish girls, with one British guy added in so the team leader wouldn't be the only guy! 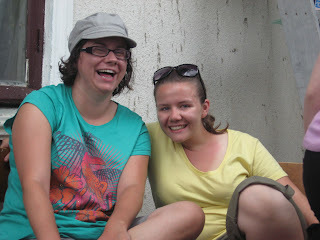 These girls were awesome - never stopped talking! - but they were full of the joy and love of the Lord. 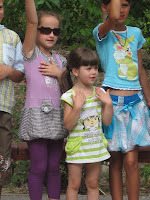 I went with them one afternoon as they visited a nearby village to do a children's program. 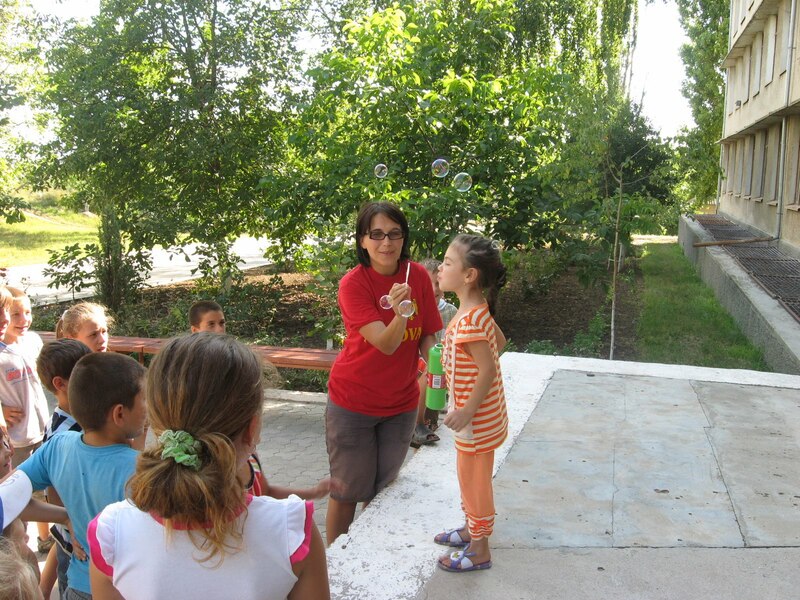 They divided into two groups; one went with the pastor to teach English in a nearby village, and the other went to another village to do a children's program. Eugen was the only guy on the team and so he went with balls and nets and sports equipment to gather the guys in the group. They flocked to him and in no time he had 40+ young guys doing drills and soccer skills and having a great time playing their favourite sport, soccer (known as football here!). Some other of the older kids played some volleyball. Some of the girls on the team gathered the rest of the children to do a variety of activities. 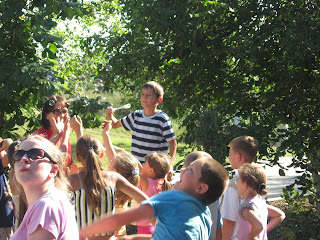 The younger children did some crafts, sang some songs, learned some English words and heard a story about Jesus. planned activities in the 3-month summer holiday. Mostly they are left to fend for themselves and find their own entertainment. So when a group of young people arrive with a program for the children, they gather round in no time! 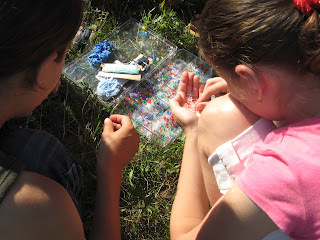 The older girls were excited about making jewelry with the plastic beads that the team had brought. One of the Irish girls just sat down on the ground with them and showed them how. It was hard for her because she didn't know the language but she just tried to communicate the best she could and for sure the girls appreciated it. 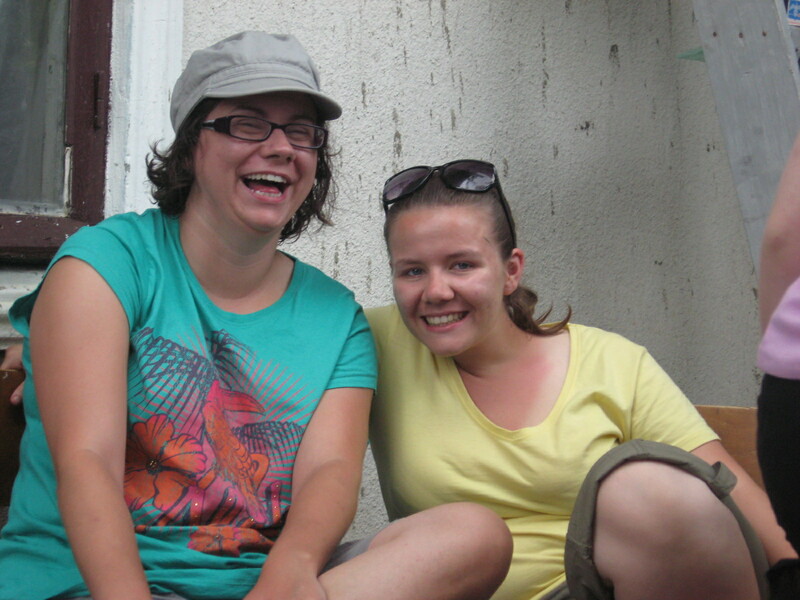 It was nice to be there that day, and to see how a lively group of Irish girls could interact and share the love of Jesus with about 80 children in Moldova. Posted by Barb at 10:26 p.m.